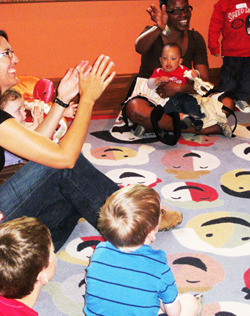 Learn through play at the Museum of Health Care! The Museum is pleased to offer hour-long play dates featuring a series of fun and educational hands-on activities that are sure to delight both children and adults! Play dates at the Museum of Health Care are a great way for children, their friends, and accompanying adults to share the excitement of new discoveries by learning and laughing together. Groups of between 4 and 10 children will receive individualized attention from our trained and enthusiastic guides, and will be provided with a lab coat to wear during their visit to the Museum. All play dates include at least one "make & take" craft activity (completed during the play date) and a special opportunity to handle medical artefacts from the Museum’s education collection. All play date activities are customized and adapted to create the perfect age-appropriate in-Museum learning experience for your group! Play date themes include: Shake Your Funny Bones, Icky & Incredible Health Care History, Sense Explorers, and Doctor for a Day. Many of our play date activities are inspired by the in-Museum education programs we offer to schools and large groups. To learn more about the type of education programs we offer, please วิธี สุ่ม แจ๊ ค พอ ต สล็อตclick here. 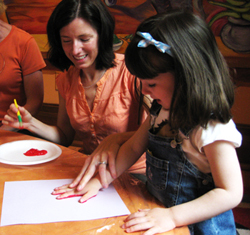 Play dates must be booked in advance for your group of 4-10 children (and accompanying adults). Cost is $3/child (no charge for adults).